The wedding ring is one subject that has countless ideas regarding its origin, meaning and significance. It is a crucial element used in a wedding ceremony shared by the couple. Generally speaking, it is a symbol of eternal love and a show that a person is married. This is an age-long tradition, but still very significantly recognized. From time immemorial, wedding rings have been circular in shape for a purpose. Amongst its significance is the fact that love is eternal, endless, just the way it should be. Through out various stages in history, wedding rings have been worn on different hands and fingers. Whether on the right or on the left; on the both thumbs and other fingers. Over time, another theory came forth by Christians to explain this ring placement on the fourth finger. This seemed more like something to relate with. As the marriage vows were recited by the couple during the binding, they would end by saying ”In the name of the Father, the Son and the Holy Spirit”, the ring would be taken and touched on the thumb, index finger, and middle finger , after which he utters “Amen” which lands on the fourth finger. On the utterance of Amen, the ring is placed on the ring finger, and this automatically sealed the union. Except for a couple of European countries, where the reign is worn on the right hand, wedding rings are usually won’t on left hand, on the fourth finger. This tradition is believed to came from the Romans. The reason is this: it is believed that this is made up of a vein that directly leads to the heart of the wearer (Even though scientists are yet to agree with this). This vein according to history was referred to as the vein of love, otherwise known as Vena Amoris’. Regardless of scientific prove, the traditional still remained till now). Since this is a tradition that has to do with love, what better place would it have been. From the onset, wedding rings were known to be made from materials that didn’t seem to last for a long time. Gradually, the materials used were substituted with more durable ones. The more the value of the material; that was an demonstration of the giver’s wealth. To the point that, for a king, this ring can be used in marking a document as an emblem when it has to do with throne matters. In recent times, a popular material used for making wedding rings is the platinum. This is considered a prestigious and valuable wedding ring material owing to its properties – naturally hypoallergenic and does not irritate sensitive skin. Gold is another preferred material of wedding rings. Gold, especially the rose type is an attractive metal, with significant underlying meaning. It is said to represent love compared and the white form representing friendship, while yellow is fidelity. 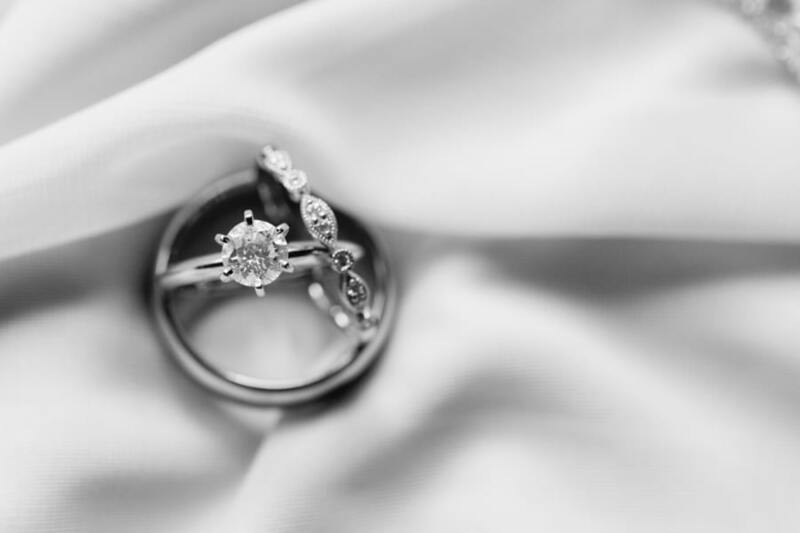 Finally, much more than an emblem of love, wedding ring is a symbol of agreement and devotion between two people who have made up their minds to cherish and love one another till death.